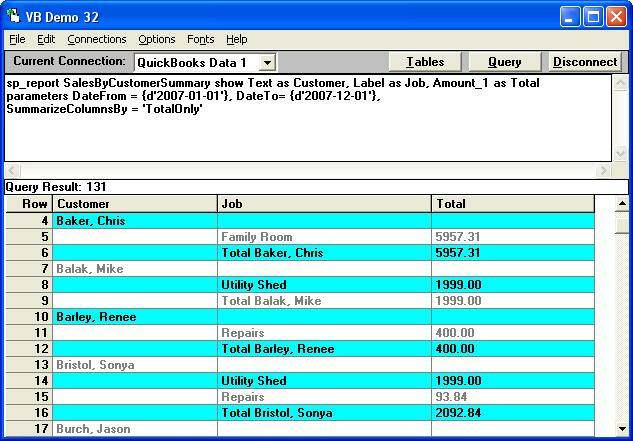 I would like to do is list find the subtotal of all Invoices by a customer for not only that particular customer but all jobs assigned to that customer, within a specified date range. What QODBC SQL Statement would I use? But that will only get me the subtotal of invoices for the main customer, but it doesn't get me the combined subtotal of all the invoices for each job under that customer as well. Is there a way to combine it all into one SQL Statement? Or do I have to use multiple statements then manually combine all the totals together? 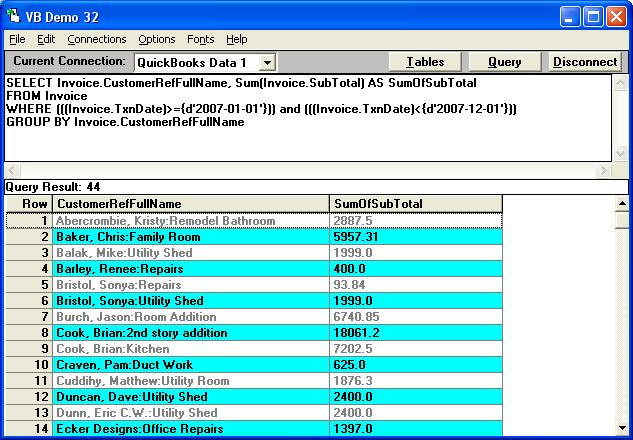 You can use below query to get Subtotal of Invoices Within Date Range using QODBC. You can change the greater than or equal (>=) and the less than (<) dates to the date range you wish to use.